Swati Chopra, WG’19, says mentorship is “critical” to encourage more women to pursue higher education and unlock their potential. 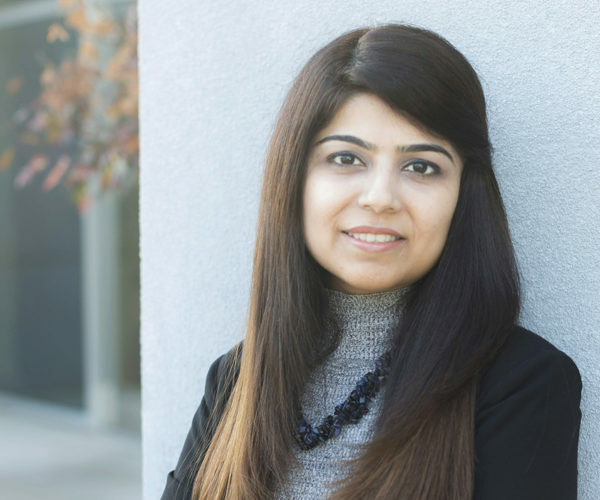 Self-taught in the growing field of cybersecurity, Swati focused on security for financial institutions in India. When her husband’s career took the couple to California, she worked for Cisco and then the startup Bitglass. Throughout these changes, she never lost sight of her long-term goal of starting her own company. “I had worked at companies of all different sizes — from large to mid-size to startup — but I knew I needed an MBA to augment my experience with the skills required to set up and grow my own company. Wharton has the rigor, reputation, and an unmatched network of accomplished alumni that I was looking for,” she noted. She also applied for and received a scholarship from the Financial Women of San Francisco (FWSF), which awards scholarships to female students at Bay Area universities pursuing education in accounting, finance, or financial services. In addition to the scholarship, recipients connect with mentors in the organization. 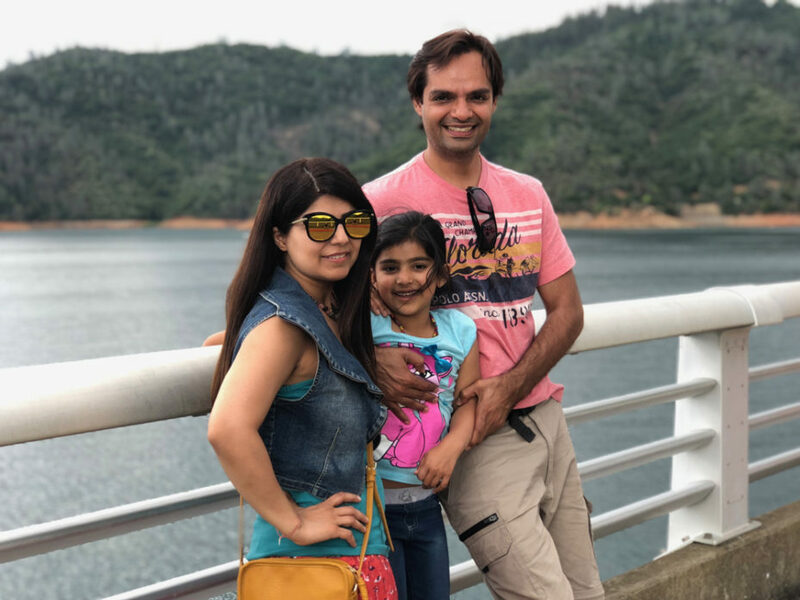 Swati was one of 12 FWSF scholarship awardees in 2018. “I am honored to join this group of smart and supportive women whose goal aligns with mine to uplift other women. The mentorship program of FWSF has opened up new opportunities and perspectives for me. My mentor has been instrumental in helping me both professionally as well as personally,” said Swati, who has a six-year-old daughter. 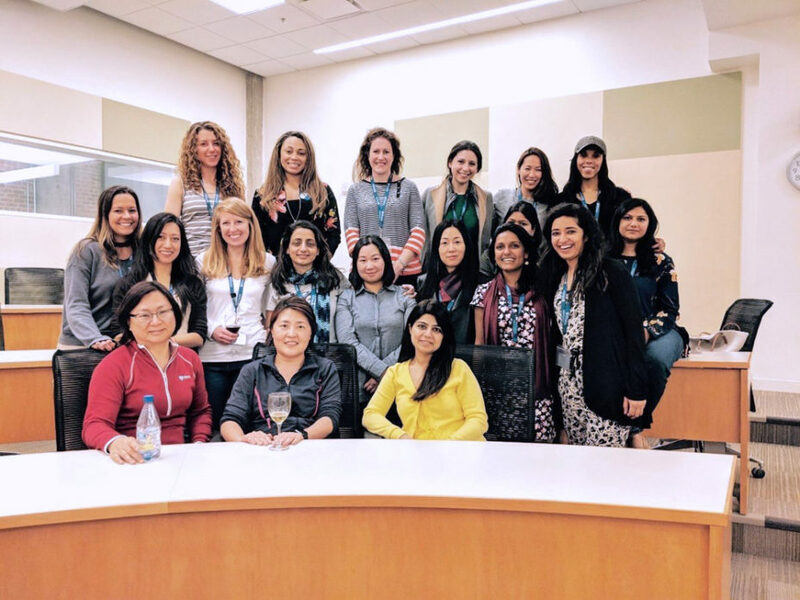 Swati with fellow Wharton EMBA women. As a second-year student, Swati currently helps the FWSF spread the word about its scholarship and mentorship programs. She is leading the FWSF scholarship program at Wharton to help support her fellow students. And at work, she makes a point to attend “women in technology” conferences and events to connect with qualified women, mentor them or recruit them. Learn more about the FWSF scholarship and check out Forté MBA Fellowships for women.